Funk, I’m credit card all the way and never, ever use my debit card. This is only because my credit card got cloned last year (I think at a restaurant). Now, if the credit card would leave my sight at any place of business, I use cash. Recently, my husband debit card was just skimmed. They tried using it at a gas station in another continent! Glad our bank called us. And luckily we were not held liable for the $200+ in charges. So yes, debit cards can be cloned. Least you know that your CC company will keep you safe should something arise again (hopefully it is highly unlikely an issue will occur again). I’m pro credit card all the way! The rewards combined with perks like extended warranties and fraud protection make it worth it for me. And I assume you pay your balance in full each month? I don’t use credit cards for that reason, except travel. I never seem to have an issue paying my traveling expenses in full. I never use a debit card for security reasons. Sure, you can get the money back but for 24 to 48 hours, your checking account can be wiped out. If you have automatic payments, many have fees if the transaction ‘bounces’. I see no benefits to debit cards. No reward, lack of protection…it just makes no sense. See, I am a 90% debit card user. I’ve never had any problems when making big purchase, had any identity theft problems (knock on wood), or having my account wiped out. And the benefit – the money is taken immediately out of my account. And it makes streamlining by budget very convenient. Now my husband was skimmed a few weeks ago – and the theft transactions were run as credit – so our bank called us questioning the suspicious activity and declined the charges. That was good. But yes, it was a credit card transaction based on his debit (because the theives didn’t hav a pin). So, if you have a debit card I would assume you could have the CC protection if you run the purchase as a credit card transaction. Might be of consideration. I love reading these articles because theyre short but inmforative. Good post! I’m also pro for credit card for the mileage and restaurant rewards.. haven’t touch my debit for a few years now either. It surprises me that so many people are pro credit cards for the rewards and mileage. But I wonder how many of these pros are responsible with paying the balance in full each month and not racking in the high interest rates? Consumer Debt we know to be very high. If a person is keeping a balance on that CC, it pretty much negates the rewards. It is probable they are paying a hefty price to have those rewards. My credit cards are home sitting in a box – I NEVER use them. Purchasing everything with my debit card is just easy! 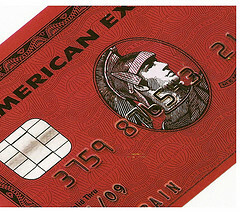 I only have one card (to carry and to lose) and I never keep all that much in my checking, so I do not have to worry about thousands of dollars being racked up if it was stolen. Tracking expenses is much easier since they are all in one place. And one less bill! One for debit! I do enjoy the ease of carrying one card, too. Makes for ease in tracking expenses. And you’re right, you would need to really trust yourself to pay the balance off each month if you used a credit card. Could be tough for many people. We do not use credit cards. (We have a couple, but they just sit in a drawer, collecting dust.) We use debit cards for everything and have never had a problem. Of course, we do most of our business with the same handful of retailers / stores / businesses. I’ve rented a car and reserved a hotel w/ my debit card, with no problems. There is no fool-proof method of payment, so I’d rather use my debit card than have to worry about borrowing money, even in the short-term. Hey NCN! Thanks for stopping by! So no CC even for travel, huh? My experience with a rental car company was for them to hold $250 on my debit card. Not bad. But I haven’t tried using debit for hotel transactions. Can you use it as a credit card to reserve the room since the debit card usually contains the MC or Visa logo on it? I’m mainly a debit card user, especially for things like groceries, retail and gas purchases. The credit cards are only for large purchases such as travel or big-ticket items, and they get paid off immediately. And I stick to using just one credit card for these purchases — the one that gives us cash back, which can be directly applied to the balance. Ya, I have to pay them off immediately too. Or a guilty conscious and interest rates attack me. 😉 I guess I am just not comfortable enough with them; especially since I am still paying down debt. Yeah for you in paying them off immediately! I think it’s CC all the way for me. The cost/rewards is just better. I never really understood the point of a DC. I’m not there yet. Maybe after all my debt is paid off and a nice some in the bank, I will feel comfortable with using the CC and having it paid in full each month. Plus I enjoy that the money is taken out immediately and there are no bills to fuss with. Those rewards must really pay off for those with good creditors. Be interested in looking at the stats for that. Donno. My only personal card is a home rebate card where 1% of all purchases goes to paying down the principal in my home. Sam, is that offered by the mortgage holder or another institution? I personally prefer to use my credit card for mega purchases and debit card for everyday purchases (lunch). I feel more comfortable making big purchases on my credit card because of the security features that come with a credit card. Debit Card is very important for me because wherever i go if i need import or to buy anything else i can use my debit card. I use my credit card for large purchases as well. However, as far as being liable for fraudulent purchases, if you use your debit card as “credit”, then you get the same protection (from Visa or MC). I use the two types of cards like you for now. Once I get all debts paid I might transition to using the CC for all purchases and paying it off every month. Credit card, all the way. I have never used my debit card except to get money out of an ATM. I carry one credit card and my (as I think of it) ATM card just to get cash (which I do very rarely). I’m a regular reader of Consumerist.com (which is how I found your blog) and I’ve read far too many posts there with people having problems with their debit cards. Overdraft fees for ridiculously tiny purchases, no protection for purchases, banks suddenly shutting off access, etc. I don’t have to worry that I’ll get dinged by my bank for some mistake by a merchant or by the bank itself, like the recent story on Consumerist where a bank charged the person an overdraft after mistakenly debiting their account twice for the same purchase. I’m sure debit cards are great for people who are comfortable with them, but I like having my credit card because it feels like a layer of protection. If something goes wrong, I’ll have a few weeks to find a solution before I have to pay the bill, while with a debit card the money would already be taken out of the account and I’d have to get it back…it’s always harder to get someone to give your money back! Obviously, the benefits of a credit card only hold true when you pay your balance off in full; at the moment, I’m still able to do that with my savings even though I’m unemployed. I also find it very helpful to see all my transactions summed up at the end of the month. It helps me realize just how quickly things add up. I still keep track of all my purchases every few days by checking my credit card transactions online. As far as I can see, the problem a lot of people have with credit cards is that they see their available credit and think of that as money they can spend. NOT GOOD. If you treat a credit card the same way you would a debit card, you’ll get all the benefits they offer and still not have to worry about wracking up debt. Whichever card you use, you’re spending your money. I use my debit card everywhere, but you just made me think of using a credit card for gas (for the rewards of course) and just continuously paying it off. I wonder if that’ll somehow boost my credit score. Hey, I can dream right?